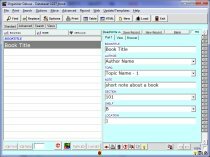 Free Book Inventory Simple template for Organizer Deluxe and Organizer Pro users. 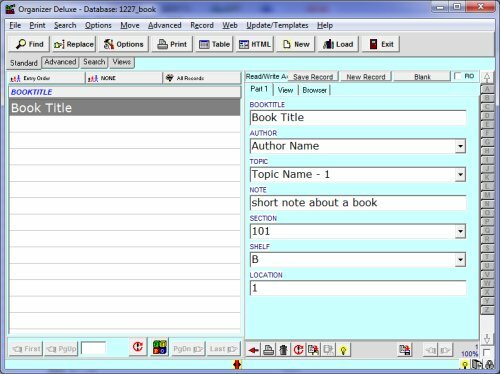 Simple book inventory database template. You may enter the following information: book title, author, topic, note, section, shelf, location.